Vogelzang Wood Stoves - Should You Buy One? Vogelzang wood stoves are a very efficient heating solution for all of your needs in keeping warm and cozy with the advantage of classic appeal. High quality German craftsmanship techniques go into every stove making it a top seller in the wood stove industry since 1974. This affordable popular brand offers many excellent features combined with precision parts built to last. All Vogelzang stoves have high tech features such as German ceramic glass in the doors, easy to touch handles, and solid airtight construction. Add this to the nice design and you have an excellent, affordable high quality wood stove which will serve you for years to come. So which wood burning stove is best for your home? Let's look at some popular models to learn more about each stove and their heating abilities. Not all models are covered here but this gives you a good idea in making a wise choice for your Vogelzang wood stove. These models were especially chosen for their high efficiency, output, and durability, while maintaining a distinctive styling in design and functioning with quality craftsmanship. If you will notice, all of these models are EPA (Environmental Protection Agency) certified, which is an important issue for wood stoves in regulating emissions for our air quality and a sustainable future by cutting down on energy consumption and using renewable heating sources such as wood. Always make sure any wood stove you are contemplating buying (no matter what the brand) is EPA certified. The Defender wood stove is a dependable choice for your extra heating needs with fairly high customer ratings making it a high volume seller. This durable stove holds a fire on the average of 8-10 hours and heats up to 1,200 square feet in a solidly constructed weatherized building or location. It is a very efficient airtight stove which thrives on hardwood giving it a possible output of 68,000 BTUs. The Vogelzang Defender can accept firewood up to 17 inches long and has a cam-locked cast iron door with clear view ceramic glass. The cool touch spring handles are a very classic touch serving generations of wood stove users. The firebox (18inx12in) is fully fire brick lined with a fire box depth of 12 inches. 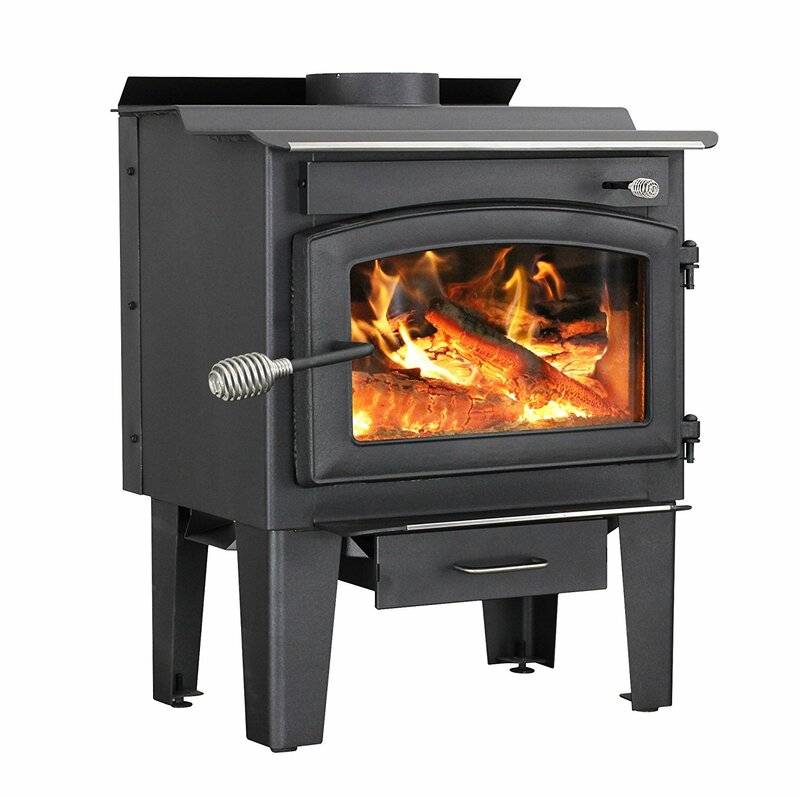 This heavy duty 3/16 inch steel plate constructed stove comes perfect in a charcoal black finish with nickel-pewter trim and sturdy adjustable legs. The Ponderosa is one of the most popular Vogelzang stoves with high consumer ratings praising the cost as half of other brands near the same size in capacity with similar features. This large stove can handle up to 30 pounds of wood at once but users find they do not need this much and one third of the amount makes a toasty fire with high heat output capable of heating up to 3,000 square feet. At night you can load it up with hardwood, or if you have to go somewhere, and expect it to be burning safely when you wake up or return for up to 14 hours. This stove comes with an adjustable high speed blower for more than adequate heat circulation and a non-catalytic secondary combustion chamber for a clean fire meeting the best in EPA standards. The styling is distinctive, with a large ash drawer located in the pedestal type base for easy removal of ashes. The cast iron feed door has a beautiful ceramic glass window measuring 15 inches x 9 inches for the ultimate in viewing pleasure. 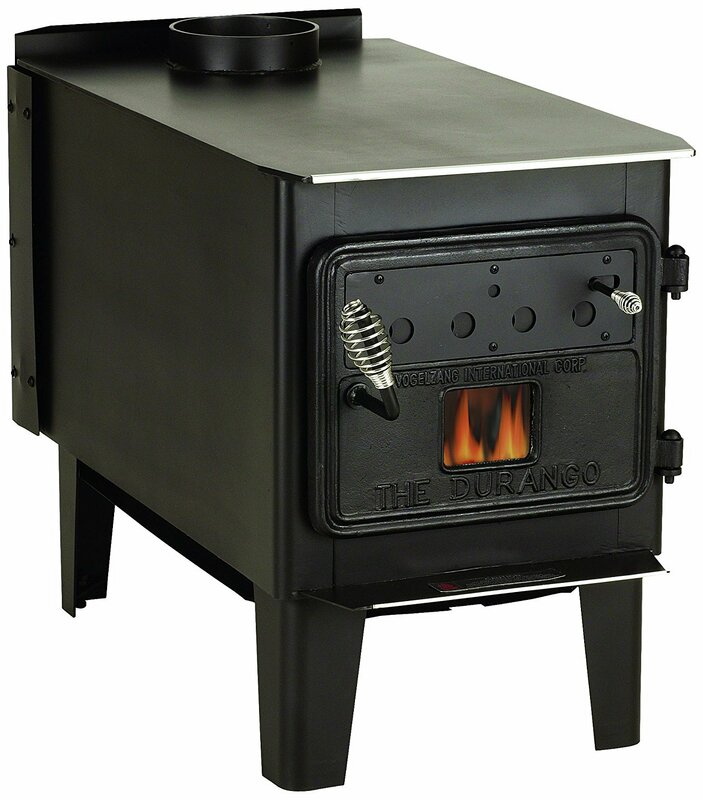 The Durango is a high efficiency wood stove that will fit and make itself at home in any setting. This stove is especially nice for a cabin or your get-a-way spot, it is simple in design yet sleek at the same time. It is made of heavy duty reinforced plated steel and will keep any solidly constructed area up to 1,800 square feet very warm. It can burn up to 12 hours on a load of hard wood and has a possible 74,000 BTU output, once again determined by its location and weatherization factors in a soundly constructed building or other determined area. The really great thing about this stove is the added bonus of accepting wood up to 26 inches long with no problem. This is an excellent wood stove if you like dependability and long burning fires on a single load of wood. The Performer wood stove has a good looking pedestal base similar in styling to the Vogelzang TR007 Ponderosa model which is a top seller. 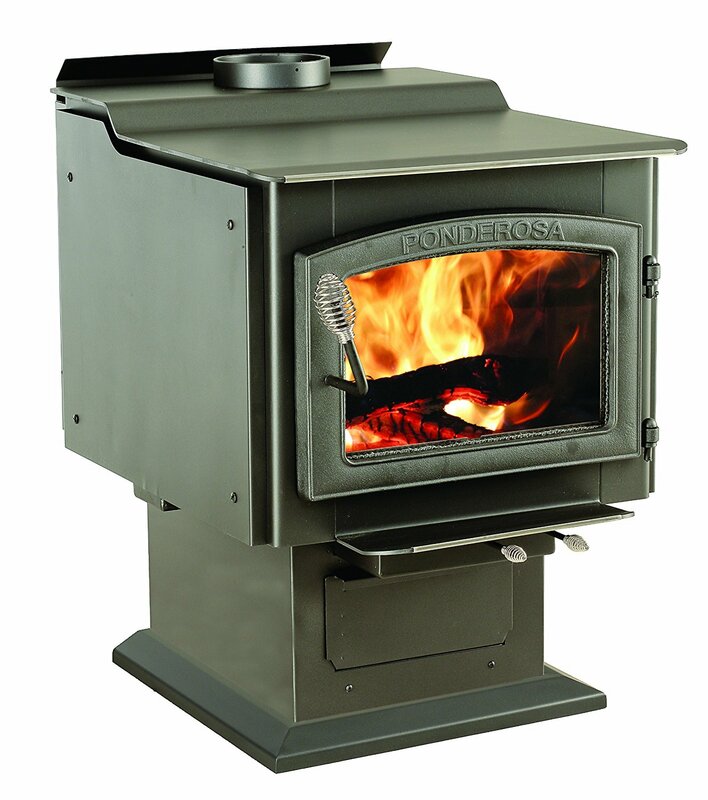 Many consumers choose the Ponderosa in preference, expectations, and user ratings over the Performer. 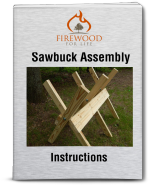 The Performer heats up to 2,200 square feet in a weatherized structure with an approximate burn time of 12 hours on a full load of hardwood. It is manufactured with 3/16 inch heavy gauge reinforced plate steel. The firebox is fully lined with fire brick, a strong point of all Vogelzang wood stoves, and will easily accept 20 inch logs. Its cast iron feed door has a good sized ceramic glass window (17in.x9 in.) for your viewing enjoyment. This stove received the name “Performer” because of its great heating capacity and the long burning time on a single load of hardwood. A Vogelzang wood stove is a good addition to your home or wherever you choose to put it to work. The really excellent thing about these stoves is the fact that the company cares about the environment and strictly adheres to the latest standards in regulations provided by the EPA. The secondary combustion chamber used by this manufacturer burns off and prevents any gasses from escaping or creosote forming in the chimney walls or piping. The company is going strong and if you need any replacement parts they are easy to order and find. There are many commendable standards at work here including the fine design combined with solid construction. 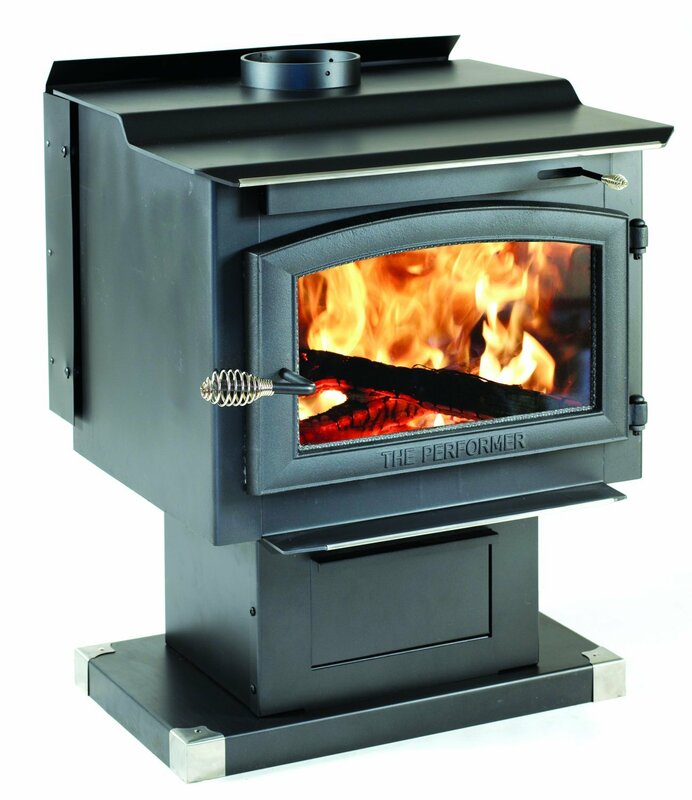 Shop around and make a careful evaluation of your options in buying a new wood stove. When you take into consideration cost comparison, efficiency, and good looks, you will find Vogelzang wood stoves make their way as contenders in your final selection.